Before you come in, make sure to take a look at our current car service specials. Feel free to schedule service online, or contact us with questions at (702) 982-4160. Coupon not valid on previous charges. Not valid with any other offer or special. Please present coupon at time of write-up. Offer good only at Findlay Acura. See dealer for complete details. Includes: Brake inspection, Multi-point inspection, and Brake pad replacement and rotor resurface. Get Acura Service Today Near Laughlin at Findlay Acura! 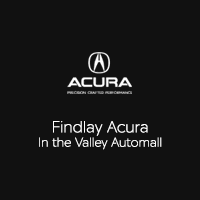 When you’re looking for a premier luxury car service center North Las Vegas, you can always count on Findlay Acura. At our Acura service department, you’ll find state-of-the-art diagnostics equipment and Acura OEM parts, as well as special offerings like Acura Accelerated Service. Check out the current auto service specials going on at our dealership, and feel free to reach out with any questions.